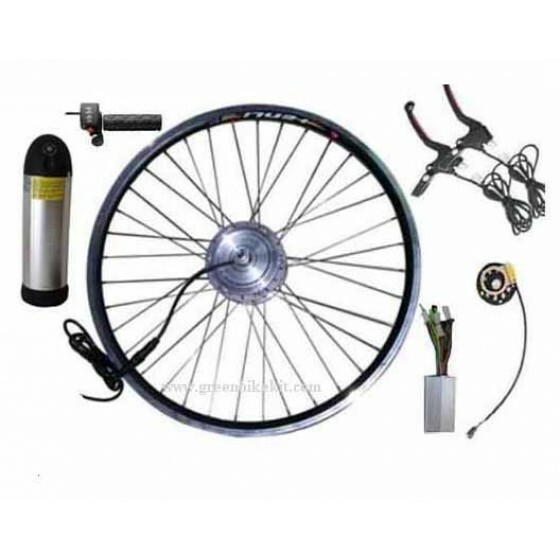 GBK-100R 36V 250W~350W rear driving electric bike kit, including suitable controller, double walled rim and stainless spokes, PAS, throttle and brake, 36V11.6AH bottle battery and charger. 9). Bottle battery 36V11.6AH(345X91mm) and charger. 10). 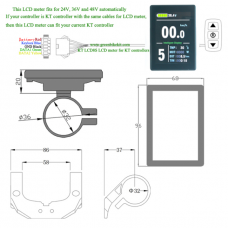 User's manual,controller connection diagram and LED display connection diagram will be sending together. Note: 1. 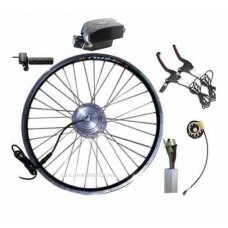 This is the wheel kit, already assembled, the price is including bottle lithium battery and charger. 2. 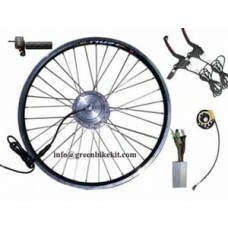 Normally RPM201 is for 24", 26" and 28"/700C; RPM328 is for 16", 20", 22" and 24". 3. The larger RPM you choose, the fast speed the motor would be, while the torque would become weaker; the small rpm you choose, the low speed the motor become, but the torque would be stronger. 4. 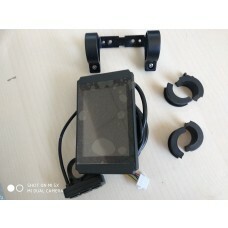 Note: the leadtime for the battery and kit is about 5-10 days. 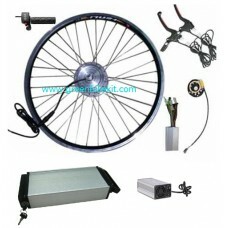 Review "GBK-100R 36V 250W~350W rear driving electric bike kit with 36V11.6Ah bottle battery and charger"